← How Well Do You Know Art in Bloom? 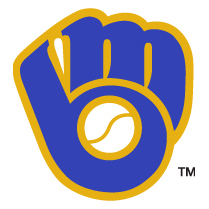 For you baseball fans, it’s Opening Day at Miller Park, so here’s an obligatory-yet-enthusiastic GO BREWERS! If you missed Art in Bloom last weekend, be sure to check out the photos on the Museum’s Facebook page, as well as on Chelsea Kelly’s latest blog. This week, don’t miss Target Free First Thursday (April 7). Admission is FREE for individuals from 10 a.m. to 8 p.m., and the Museum features a Frank Lloyd Wright Express Talk at 5:30 p.m., plus an Artist Talk by Colleen Plumb at 6:15 p.m.
For the upcoming weekend, put aside your spring cleaning and take some time to explore the Museum with the new Kohl’s Art Generation i-Pod Touch Tour. Plus there’s Story Time in the Galleries and Sketching in the Galleries on Saturday, and the Kohl’s Art Generation Studio is open Sunday 10 a.m. to 4 p.m.
Stay tuned for more information on what’s coming next week, including a special Frank Lloyd Wright lecture and MAM After Dark: Tax MAM. This entry was posted in Art, Education, Events and tagged Art in Bloom, Family Programs, Frank Lloyd Wright, Kohl's Art Generation. Bookmark the permalink.